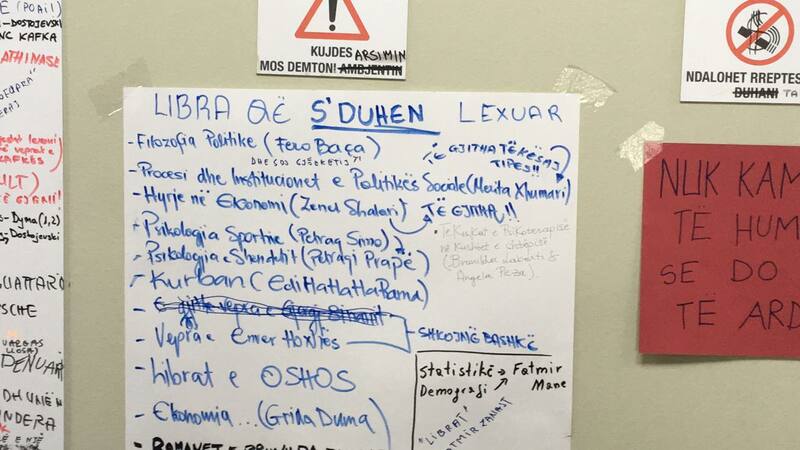 As the student protests, occupation, and boycott are entering their third month, the students have started to self-organize their curriculum, inviting speakers from Albanian society to talk about their work and experiences in relation to the student movement. Today, the Faculty of Social Sciences invited publisher Ataol Kaso from publishing house Pika Pa Siperfaqe, anthropologist Ervin Kaçiu, and writer Fatos Lubonja. Lubonja received one of the 2015 Prince Claus Awards for his writing and activism during and after the communist dictatorship, and has been one of the most vocal critics of the Rama regime and its international supporters. 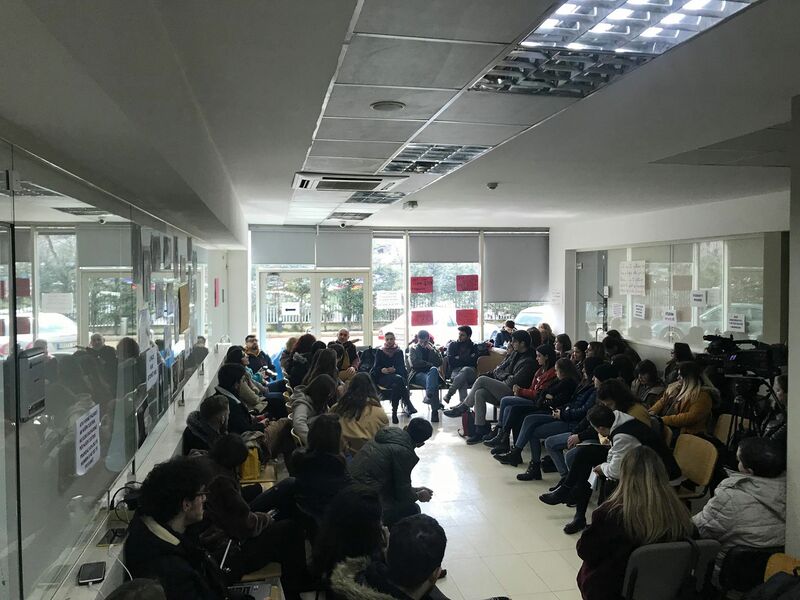 With the students he discussed issues of parenthood and authority, reflecting on his own experiences during the dictatorship, calling for a collective and inclusive model for decision making and the reopening of public space for the public good. The discussion further reflected on how the legacy of totalitarian violence left many in Albania in the position still of abused children under the power of abusive authority. “We have been here in the Faculty of Social Sciences for more than three weeks and are continuing our protest through this boycott. We have decided to boycott the university by occupying it, as you can see. 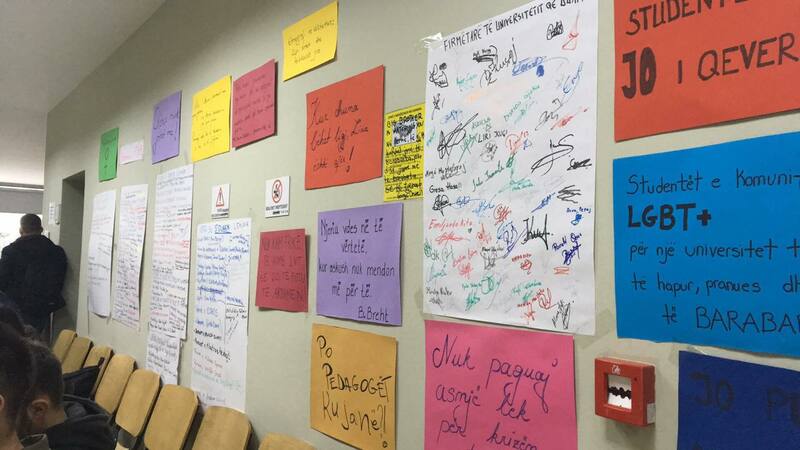 On the walls we have written our slogans and the reasons for continuing our fight against the Higher Education Law. We invite professors, intellectuals, and analysts with different viewpoints to contribute to our protest. The main guest today was Fatos Lubonja, a very important journalist and civil society activist, someone who saw the rise and fall of different systems in Albania. 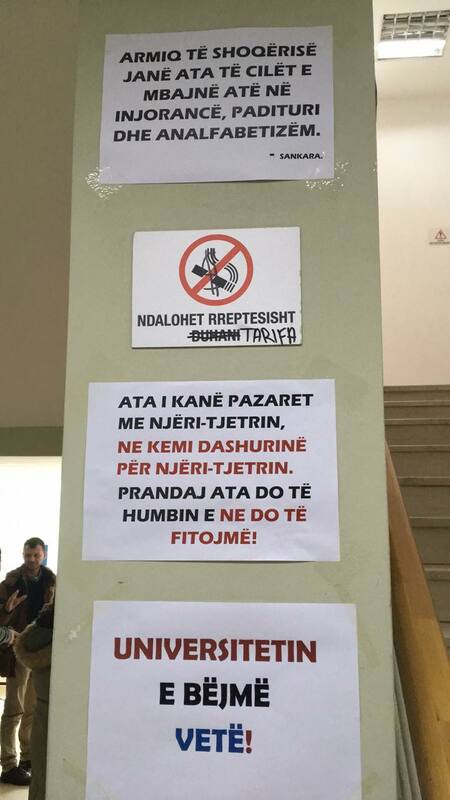 The inside of the Faculty building has been fully decorated with posters and slogans by the students, pledging an independent university, while also providing a collective platform for the creation of reading lists. 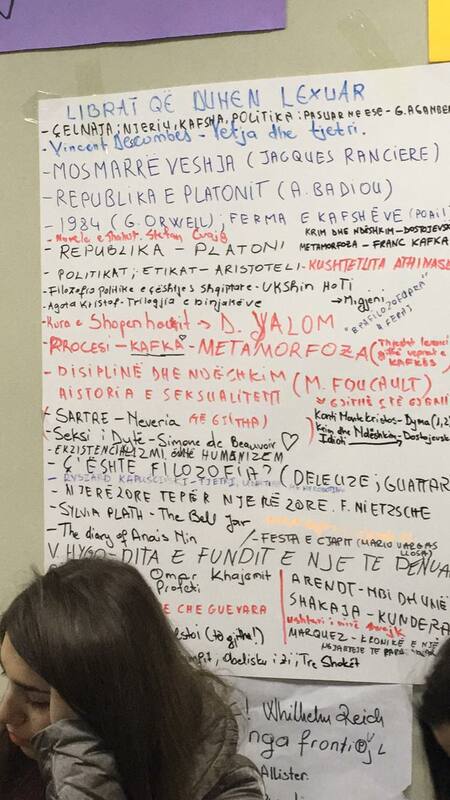 Authors that are promoted include Jacques Rancière, Alain Badiou, George Orwell, Sylvia Plath, Migjeni, and Wilhelm Reich, while the list of rejected books include many of the books students have been forced to buy from their Albanian professors at inflated prices.